Marion "Topper" Louise Orr, 80, passed away Monday, July 23, 2018 at a local hospital of natural causes in Caldwell, Idaho. Topper was born July 10, 1938 in Hollywood, California, the daughter of Richard & Lennis Wright. Topper was raised in Southwest Oregon and married Edward L. Maillard in 1956 and together had three daughters; Cindy, Tracy and Carrie. During her marriage to Ed, Topper was a home maker and cared for her three daughters in Coos Bay, Oregon. After her divorce to Ed in 1966 Topper married Charles L. Walker in 1968 and together had a daughter and son, Shelly and Charles Dee. During her marriage, Charles and Topper owned a cow/calf operation in Adrian, Oregon and later moved the operation to Vale, Oregon. 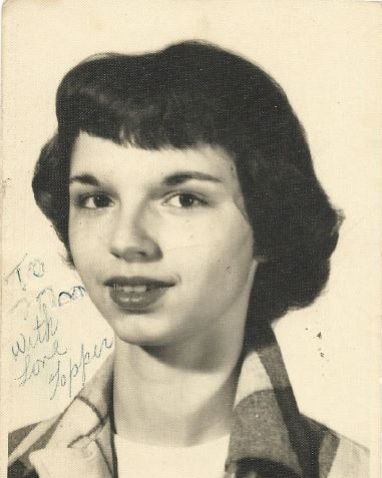 Then in 1974, Topper and Charles moved back to Adrian, Oregon where later Topper took employment with her mother Lennis Johnson at the Adrian, Oregon Tavern as a Cook and Bar Tender. In 1977, Topper took full time employment at Martin’s Grocery Store as a clerk in Adrian, Oregon until 1979. After her divorce to Charles in 1979, Topper moved back to Coos Bay, Oregon where she lived with her daughter Cindy and took full time employment at a publishing company as a book binder. During this time, Topper enjoyed spending time with her daughter, Cindy and grandchildren Adam and Amanda. During Topper’s later working years, she became a care giver to the elderly and then retired in Caldwell, Idaho in 2001. Topper was a very social and compassionate woman during her active years. She loved her children and was an excellent care giver to the elderly. Topper enjoyed oil painting, bowling, reading, crocheting, darts, and taking summer camp trips with her daughter Carrie and wife Becky. Topper especially had a fond relationship to cats and always had a cat throughout her life. Topper is survived by four daughters and one son: a daughter, Cindy L. Aleksa and her husband Vincent R. Aleksa Jr. of Canby, Oregon; a daughter, Tracey Hughes and her husband Jonathan Hughes of Milwaukie, Oregon; a daughter, Carrie L. Maillard and her wife Becky Burkhart of Boise, Idaho; a daughter, Shelly L. Martin and her husband Earl Martin of Brentwood, California; a son, Charles Dee Walker and his wife Lea Walker of Payette, Idaho. Topper had ten grandchildren and seven great grandchildren: a grandson, Adam L. Hill and his wife Michelle Hill; a granddaughter, Amanda L. Hill: a grandson, Kyle Hughes; a grandson, Jared Hughes and his husband Raphael Cran; a granddaughter, Krista Hughes; a grandson, Jeffrey A Scheffel; a grandson, Samuel J. Leon; a grandson, Jordan J Martin, a step granddaughter, Candace Christy and her husband Joe Christy: a step granddaughter, Jenafer Crofts: a great grandson, Ryan Hill; a great granddaughter, Zara Hill; a great granddaughter, Lydia Trupp; a great grandson, Jayden Trupp; a step great grandson Gauge Christy; a step great grandson Liam Christy; a step great granddaughter Noah-Lea Walker. Topper was survived by one brother Terry Wright, and proceeded in death by a brother, Bud (Richard) Wright. Graveside Service will be held Sunday, September 2, 2018 at 11:00 AM at the Owyhee Cemetery, Nyssa, Oregon.